Membership is open to any Warrington East and Warrington West District Scouts. Members pay a weekly subs on attending of £2. All members must be able to swim 50 metres in light clothing and stay afloat for 5 minutes thereafter. 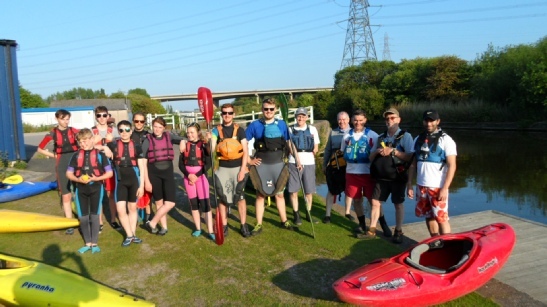 Members who attend regularly can build their personal kayaking and open canoeing skills level and take the BCU Paddlepower Awards (Purchase a log book for Paddlepower from the club - £3.60) or for the older members from 14 years the BCU Paddepower Star Tests are available. Those who develop basic skills including rescue skills can further progress to the BCU Foundation Safety & Rescue Award. Parents please don't bring cars onto the actual campsite (That’s through the galvanised double gates - parking is best on the area at the bottom of the church graveyard or out in the village. Members should complete the permission form which you can download below. 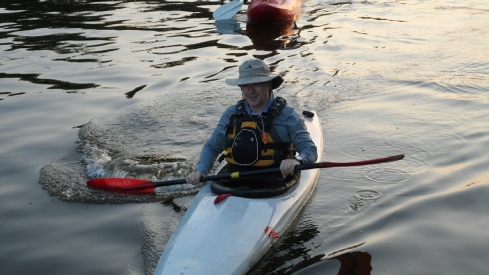 Members should bring clothing they can paddle in and get wet - several warm layers may be required particularly at the start of the paddling season! Consider bring a hot drink and snack for after paddling - wash hand first.